Research work in the life sciences is increasingly interdisciplinary and quantitative in nature. SysMIC provides training in these important areas; helping researchers to access new approaches and techniques, and to collaborate more effectively across discipline boundaries. Module 1 contains twelve sessions that cover the essential skills that are required to create and work with models of biological systems and analyse the related experimental data. Typically the module takes 6 months to complete requiring around 5 hours study per week. This session provides an introduction to computer programming with MATLAB, using it to investigate the Fibonacci series. This session introduces the theory and terminology used in the study of biological networks aka “graphs”, and shows how to create, display and manipulate them using the MATLAB Bioinformatics toolbox. This session provides a tutorial in using MATLAB’s SimBiology toolbox to work with an SBML model file accessed from the EBI BioModels online database. Students use this biochemical reaction network model simulate the pathway behaviour and reproduce publication results. In this session we cover the basics of working with vectors and matrices in MATLAB, and introduce the use of Petri nets as a means to analyse network properties of some simple biological models. In this session we examine population models for the evolution of a bacterial colony. We look at discrete and continuous changes of the population size using exponential growth/decay and logistic growth models. In this session we examine the Michaelis-Menten and Hill equations used to model enzymatic reaction kinetics. In particular we use plots to investigate their properties, and look how to investigate them analytically using MATLAB. In this session we examine models of gene expression and how to simulate them in MATLAB. We then look at how to take rate equations and numerically simulate systems that cannot be solved analytically, and examine the genetic toggle switch as an example of a bistable system. In this session we look at the role of model building in the scientific process. We then consider how dynamic models can be developed and simulated starting from a Petri net representation. Finally we look at how to model observed behaviour when we do not have exact information about the reactions taking place. Starting from initial biological knowledge we show how a model can be developed using assumptions of mass action or enzymatic reaction kinetics, and then investigated and improved. In this session we first run through the installation of the R statistics package. Then we use the R coding language for data filtering, various types of analysis, and plotting of results. In this session we show how modelling a procedure can help when designing an experiment using a hypothetical example based on measurement of cell fluorescence. In this session we look at DNA microarray data from an experiment investigating the effect of cadmium toxicity on C. elegans, and show how to analyse the data using R and select up and down regulated genes using the Students t-test with an appropriate p value to minimise false positives. In this session students take a simple model of a biological system, and work through a series of steps to investigate the model using MATLAB. Students then write a report that puts the model into the biological context and includes a critical discussion of their findings.  Email us at sysmic-team@sysmic.ac.uk or fill in the form and a member of our team will be in touch as soon as possible.